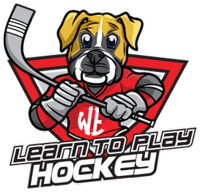 Our Learn to Play sessions in Walpole, MA (Rodman Arena) are designed for first time hockey players. These sessions are the perfect place to start young hockey players. Players will be separated into groups based upon their age, size, previous hockey training (if any) and present abilities. We'll focus on stops, starts, crossovers, backwards skating, stickhandling and shooting. Our instructors establish an enjoyable learning environment which makes it easy and fun to introduce young skaters to the game of hockey. Through applied demonstrations and positive reinforcement, our programs will allow your son or daughter to improve his or her abilities as well as build character. All while having a great time!